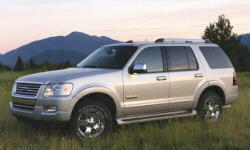 Why the 2006 Ford Explorer? I can tow 7000 lbs of horse trailer and carry a large package in the interior. Trip mileage, sans the trailer, is in the 20-22 mpg range. good acceleration and the 6-speed transmission is pretty smooth. Heated memory seats, flat load floor, easy fold seats in second and third row. Audiophile radio with Satellite is great! Everything still works after 2+ years. 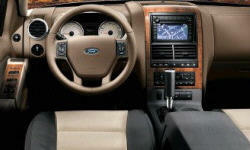 I have always had good success with Ford trucks in terms of capability, reliability and dependability. They made the Eddie Bauer very affordable off the lot.